August 3rd in Santa Monica, we’ve partnered with Cruz Coalition to benefit the Electronic Music Alliance. The Electronic Music Alliance (EMA) is the country’s largest not-for-profit for people in the EDM culture, leveraging the power of our dance music community for positive social change. Come hear some great house music for a good cause. West End is our local night club in Santa Monica off 5th and Arizona. 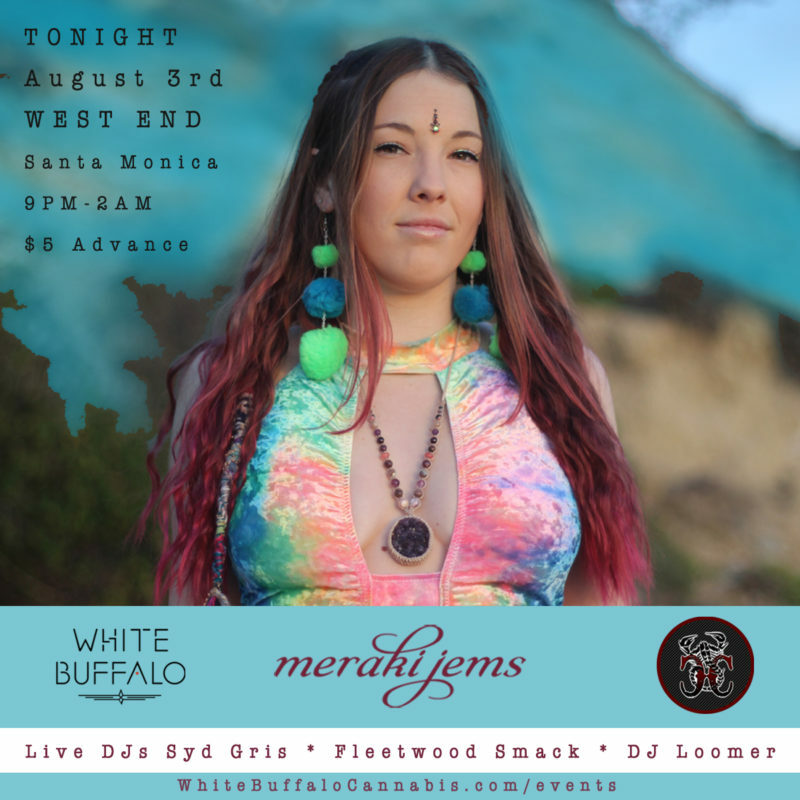 Meraki Jems will be exhibiting amazing hand made jewelry to give you one more reason to come out and show your support. The Cruz Coalition welcomes friend, collaborator, DJ, Opulent Temple head honcho and all-around awesome dude Syd Gris to LA for a night of groovy house beats at West End Nightclub in Santa Monica. Party starts at 9pm and will run until 2am. For Businesses: We’ve got some great sponsorship packages! If you like to support us, get in touch using the form below.